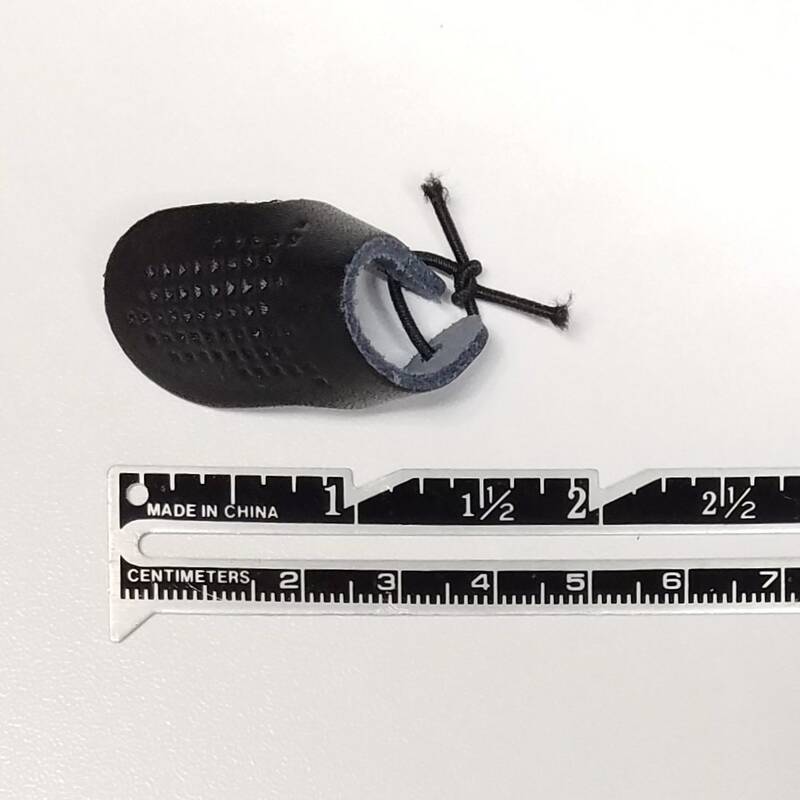 This listing is for one Olympus brand adjustable, leather thimble. 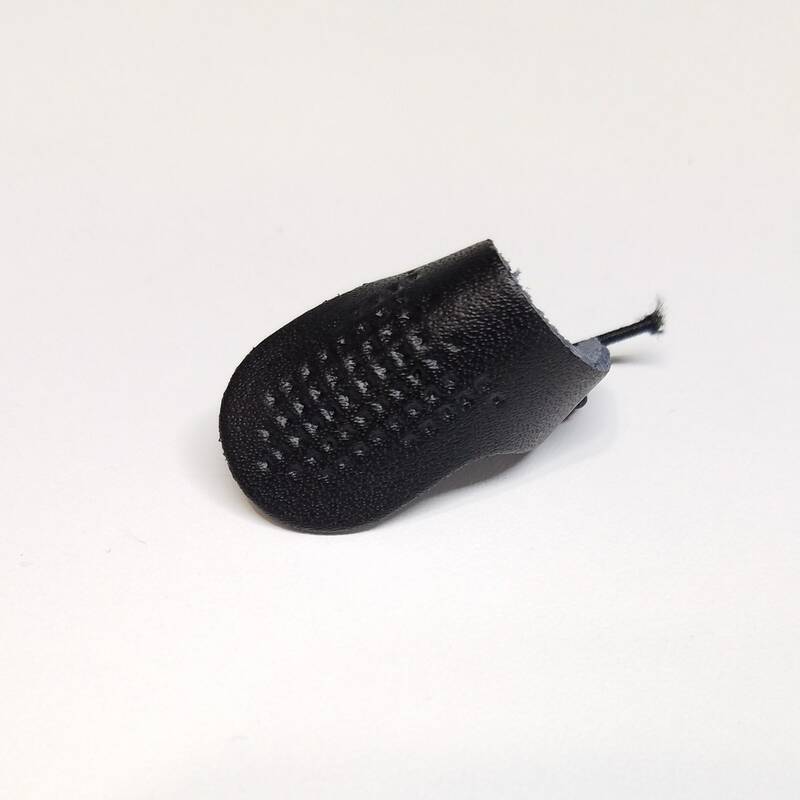 This leather, palm thimble is perfect for use with any long sashiko needle. 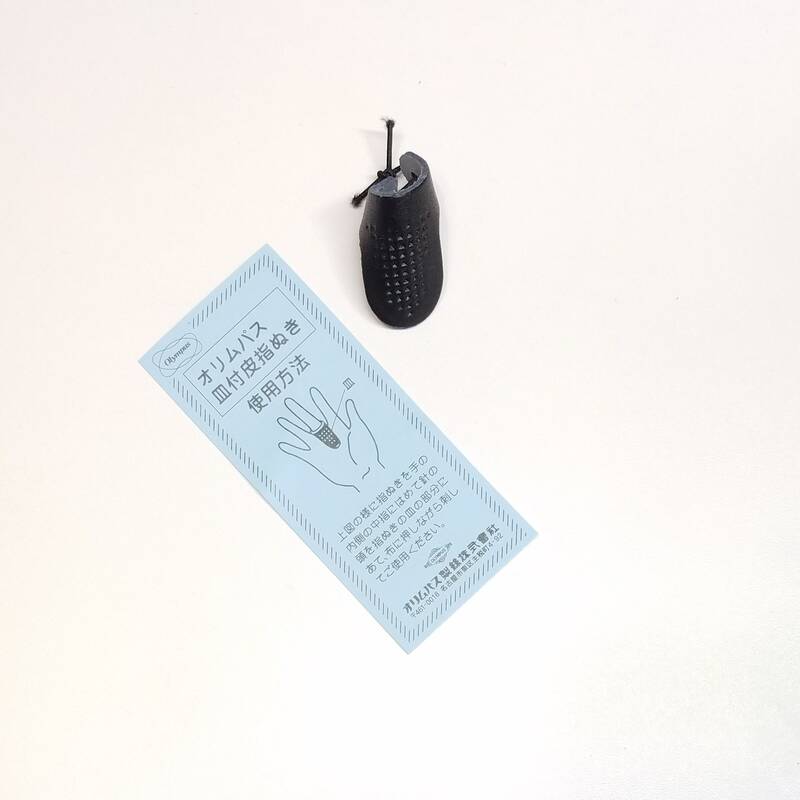 It allows the user to push the needle through the fabric using the palm of the hand. This prevents strain on the hand. 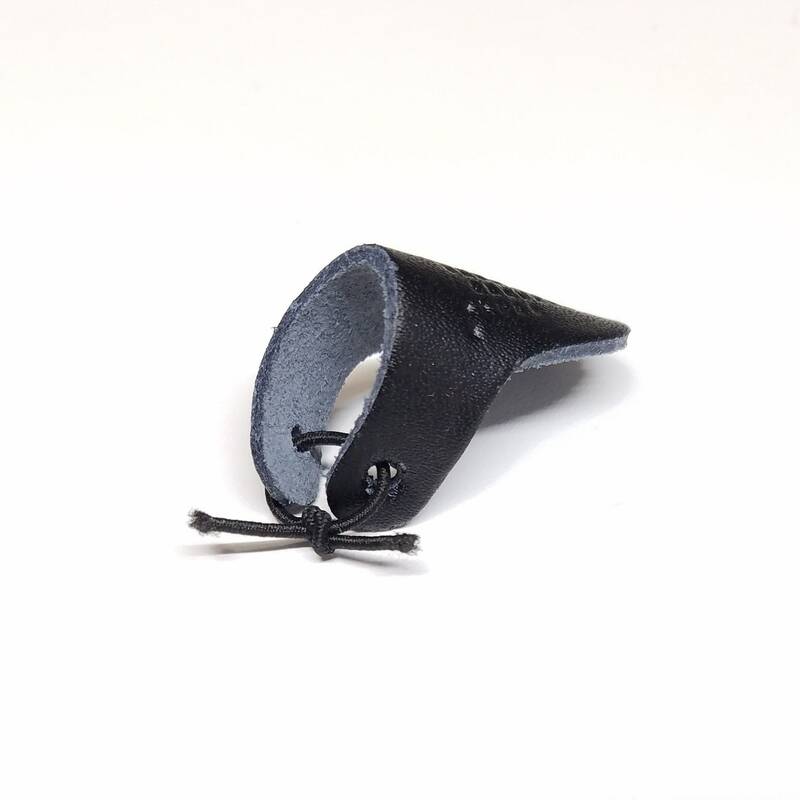 The thimble has elastic that allows it to be adjusted for a comfortable fit and it is very comfortable to wear and use. 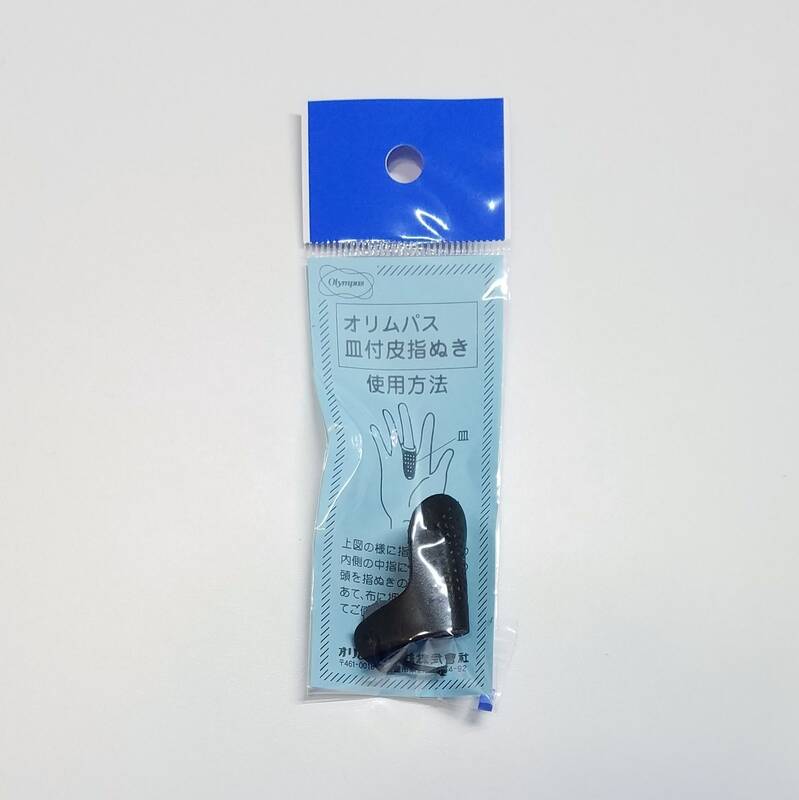 This thimble is also perfect for anyone that is hand-sewing or mending heavyweight or thick fabrics. This item is made in Japan by Olympus.